The red grape probably comes from Austria. There are around 40 Synonyms, the main alphabetically grouped by country are Saint Laurent, Black Lorenz Grape, Black ( Germany ); Saint Laurent ( France ); Blue St. Laurent, Laurenzitraube, Saint Laurent, Saint-Lorentz, Saint Laurent ( Austria ); Svätovavrinecké ( Slovakia ); Lovricanka, Lovrijenac, Sentlovrenka ( Slovenia ); Svatovavřinecké, Vavrinak, Vavřinecké ( Czech Republic ). The place St. Laurent im Médoc but has no connection with the vine, as it already has the Ampelograph Victor Vermorel (1848-1927) suspected. Probably none of the other places called St. Laurent or similar was the namesake. Rather, St. Laurent presumably derives from the saint Laurentius and its commemoration day 10th August and refers to the beginning of ripening. 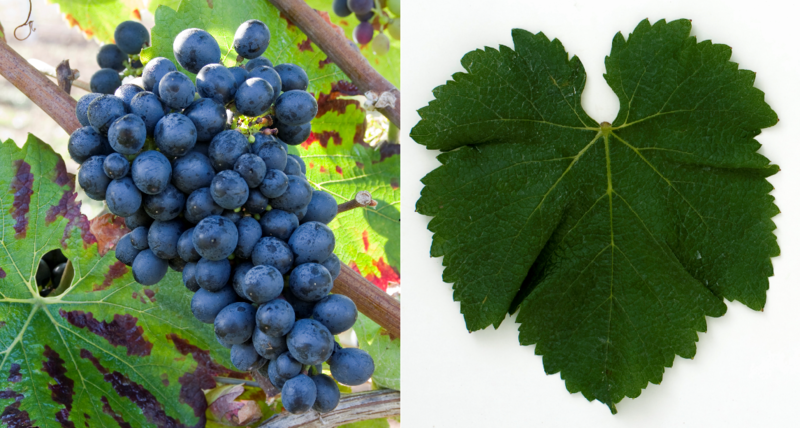 The not too late ripening, somewhat unsustainable vine is resistant to winter frost but prone to Verrieseln. Botrytis and wrong mildew, It produces deep dark, velvety red wines with medium tannin content and sour cherry aroma, as well as good aging potential. In Germany In 2009, she occupied a total of 657 hectares mainly in the growing areas palatinate and Rheinhessen, In Austria It is represented in all growing areas and occupied a total of 778 hectares in 2009. In both countries, the stock has almost doubled in the last ten years. There were other larger acreages in Czech Republic (1,291 ha) and in the Slovakia (939 ha). The variety occupied a total of 3,665 hectares of vineyards in 2010 with a strong upward trend (ten years earlier it was 2,370 hectares). It occupies the worldwide varieties ranking the rank 129. This page was last modified at 30 March 2019 at 16:34.